Here in Massachusetts and Rhode Island we see factors like distracted driving cause fender benders and more serious car accidents on busy highways like Interstate-195 through New Bedford, Fall River, Seekonk and Providence or Route 24 up through Taunton, Bridgewater and Brockton. The types of injury sustained in an auto accident can vary and are not always immediately evident. Initially, an injured party may brush off a serious injury as a bump or nothing to worry about, and merely “walk it off”. Left undiagnosed and untreated however, injuries like dashboard knee and concussions can lead to a long road of complications and recovery. The PCL is one of the major ligaments found in the human knee. It lies deep within the knee and gets its name because it attaches the posterior of the tibia to the femur. This configuration helps the PCL resist backward motion of the lower leg or tibia. In an auto accident, a dashboard knee injury can occur when the knee is bent causing the upper tibia to suffer a direct impact causing the shinbone to be pushed backwards below the knee. This can result in a tear or rupture of the posterior cruciate ligament. A blow to the head in a car accident can damage the brain, and cause a type of injury known as traumatic brain injury (TBI). A TBI may be as mild as a concussion or it can be a more severe injury impairing critical functions like speech, vision, concentration, memory and control over emotions. Brain injuries can be elusive in that beyond any visible cuts or bruises on the head, and there may be no other signs of a brain injury. Other head injuries can include internal bleeding, skull fractures, or lacerations that may require plastic surgery. Your best bet is to ALWAYS get checked out by a doctor after any head trauma. The most common injury suffered in car accidents is whiplash. It occurs when the neck stretches and quickly snaps back into place due to an impact causing the car to either suddenly stop or accelerate. Whiplash can cause damage to the vertebrae, ligaments and disks, or the spinal cord itself. This can also result in paralysis or other loss of function in one or more limbs or other portions of the body. 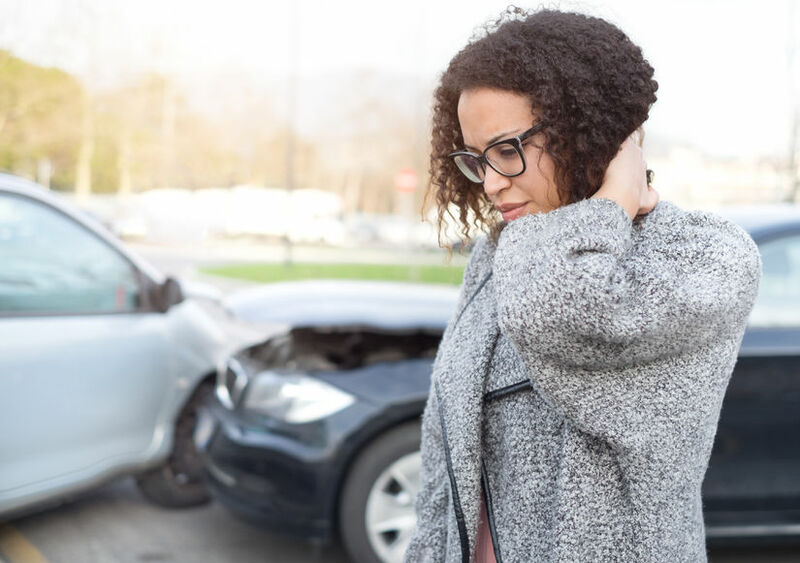 Beyond whiplash there are many other neck and back injuries which can cause chronic pain and discomfort, significantly reducing the injured party’s quality of life and ability to work. If you or a family member have suffered a dashboard knee injury in a car accident in Massachusetts or Rhode Island, don’t wait! Contact Dussault & Zatir and one of our experienced car accident attorneys will walk you through the details of your claim and help you to get the compensation that you deserve.